NEWER KITCHEN - THREE BEDROOMS! 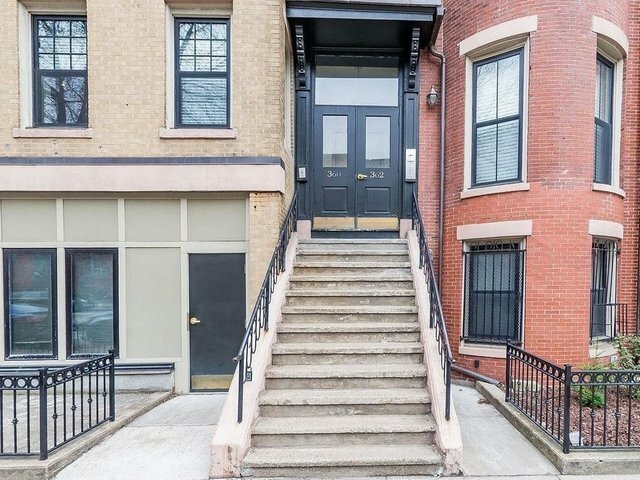 Rarely available- 3 bedroom/1.5 BA with a private entrance in prime South End location. Bright and airy home with 3 exposures. Enter on the living level to a wide open floor plan with windows on three sides with a hearthcabinet ventless fireplace. Open chef's kitchen w/granite and stainless appliances. Kitchen opens to dining area w/gas range externally vented hood, & flows to living/sitting area - perfectly designed to meet your entertaining needs - gleaming hardwood floors throughout. Living level also has half bath and washer/dryer. Gracious foyer can double as a home office. Upper bedroom level is comprised of three good sized bedrooms and a spa sized bath. Plenty of closet space and additional storage throughout. Co-op living has advantages: the carrying fee includes not only heat, hot water, master insurance, maintenance, landscaping, but it also includes property taxes. 3 common outdoor spaces shared by residents. Just steps to Back Bay Station.